A global view over Asia on 21 September 2005 - the day on which Arctic sea ice was at its minimum for the year. Land areas display the average seasonal landcover from September 2004. 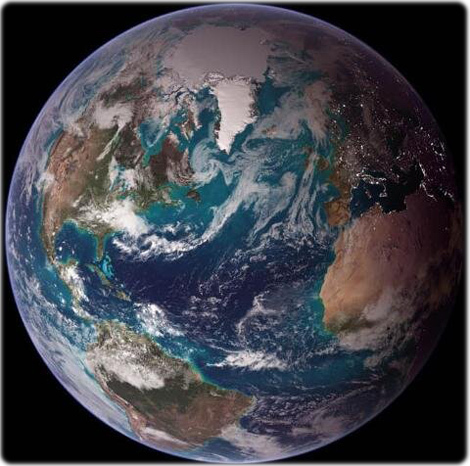 Image courtesy of NASA/Goddard Space Flight Center Scientific Visualization Studio. 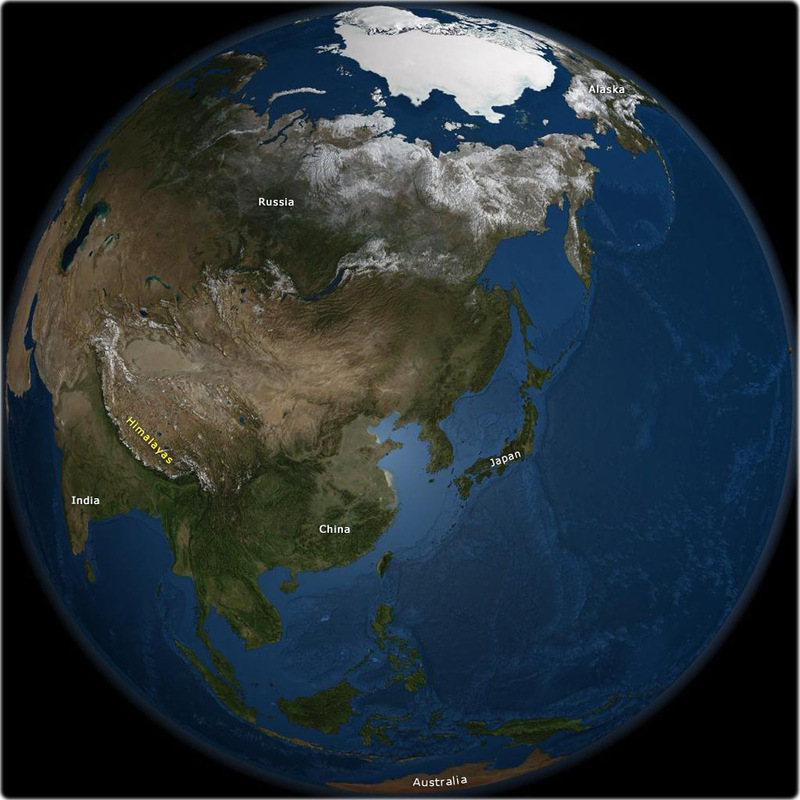 Copyright © Geographic Guide - Arctic and Asia - Image of the Globe.